February is starting with the world covered in snow. It has been constantly snowing all week long and doesn't show signs of stopping yet, which is great because I currently spend my days curled up in bed. My obligatory post-exam period illness has caught up with me, so instead of going out to celebrate I am staying in and watching the snowflakes dance outside my window. One twelfth of the year is already over. That doesn't sound like much, but considering how quickly this time has passed it is enormous. But I am very much looking forward to February, for several reasons. First, I am participating in Alice's readalong of Charles Dickens's Bleak House which is going to be a lot of fun judging by her readalong of Wilkie Collins's Woman in White in ye olden days. However I am a tiny little bit worried because the goal is to read the whole 800+ pages book in February, with posts on every Tuesday between the 4th and the 18th. This will require a lot of dedication (and time, considering my tortoise's reading pace), but I have been wanting to delve into Dickens's world again for quite some time now. And I have high hopes since a friend recently especially recommended me Bleak House upon hearing that my two favourite Dickens novels are Great Expectations and A Tale of Two Cities. Second, I am going abroad again! Next Friday I am leaving Austria to go to Spain for a week-long language holiday with my class. Valencia lies on the west coast, directly at the beach where it currently has 20 degrees, and is famous for its modern museums and its food, especially the delicious rice and seafood dish paella. To say I am looking forward to this week would be the understatement of the year! Since the times of the French and American revolutions Satan has been considered the true hero of Milton's epic poem and the earliest traceable source for Byron's heroes. For the Romatics Satan is a rebel against God’s omnipotence which he regards as tyrannic, and in his hopeless rebellion against almightiness becomes a tragic character. He also displays other personality traits which will later become characteristics of the Byronic Hero: he is persuasive, passionate and charismatic, rallying the other Angels into war and, tempting Eve into tasting the Forbidden Fruit, he is also seductive. The first real Byronic Hero is sketched out in Childe Harold’s Pilgrimage, a narrative poem published in 1812, when Lord Byron was only 24 years old. Childe is the medieval term for a young man waiting to become a knight, although Childe Harold’s Pilgrimage is a contemporary nineteenth century account of a young man’s travels and worldviews, based on Lord Byron’s own travels through Europe. 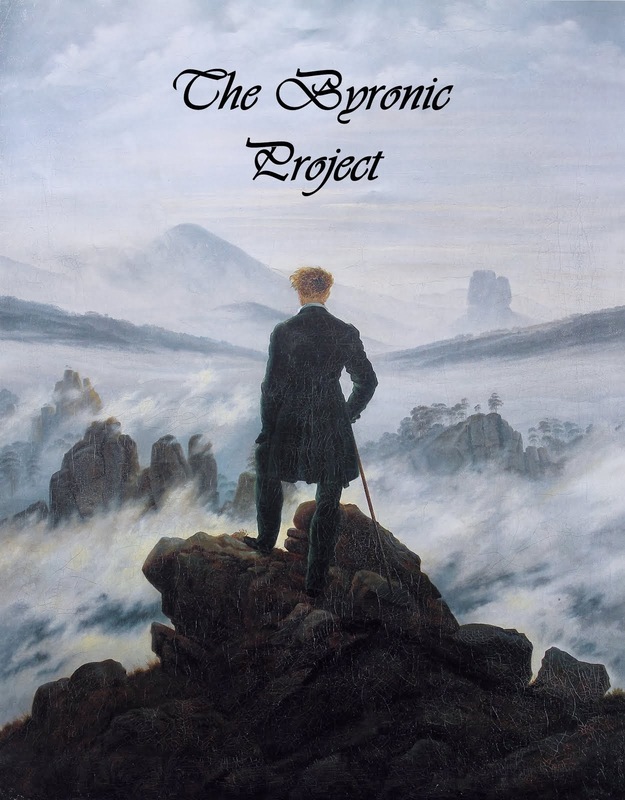 The protagonist is the son of a wealthy family, disillusioned and bored by his pleasant life who seeks distraction and escape from society in foreign countries.The picture Byron draws of Harold is almost that of a completed Byronic Hero, charming, wealthy, beautiful, but also dark, immoral and flawed. Harold’s great flaw is his pride and arrogance; he feels superior to all other human beings but with this superiority comes a persistent loneliness and melancholy. Because he feels so superior to society he deliberately breaks its conventions and lives by his own principles, looking for excitement in scandalous behaviour. The hero of this epic poem is supposed to be an especially good example of the Byronic hero. He is also the first who is haunted by guilt over a crime committed in his past, a pattern that would become very popular later (Mr Rochester, anyone?). This short story written by Lord Byron's private physician not only has its titular hero based off Byron himself, but also came into being together with Mary Shelley's Frankenstein during an especially cold and wet summer at Byron's villa in Switzerland. It was an enormous success and sparked the vampire craze that spread throughout Europe, leading to the creation of Dracula and thereby strongly influencing our notion of the vampire as an elegant and seductive but terrifying gentleman. I am very excited to better acquaint myself with these fascinating characters! 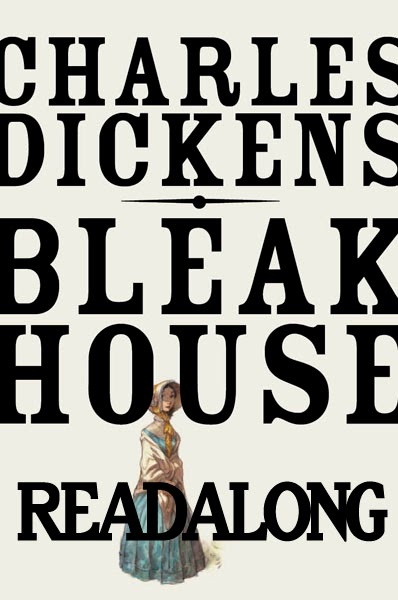 First, I have to tell you how much I love Bleak House -- it's my favorite Dickens and one of my favorite books of all time. I hope you enjoy it as much as I did! I look forward to your posts (and the BBC adaptation was AMAZING). And I have to apologize because you left a nice comment on my blog about Miss Marjoribanks and I accidentally deleted it! I tried to message you and couldn't figure out how. I am so sorry. I hope you get a chance to read it sometime, if you liked Emma and Victorian lit you would probably enjoy it. Don't worry, that's how technology is sometimes. Since I am completely inept at all digital stuff I completely understand that. I have already added Miss Marjoribanks to my reading list! I've only ever heard good things about Bleak House, so hopefully it will be enjoyable for you and not too much work. And a trip to Spain, how fun! I've never been there and would love to go someday. I hope you have an excellent time. It's quite good so far! I am just always scared by long books. Yay for going abroad, I hope you have a great time! And I'm sure you can manage Bleak House, whenever I've done a group read the enthusiasm of all the other readers has easily carried me through the tough times. Thank you! I'll have to focus on improving my Spanish a bit, but that doesn't mean I can't go practise it in a natural environment... like in bars. Or at the beach.